There has been a momentous amount of changes around here lately. One, being our move back home into a (rental) house for our new family of three (4, counting Indy). Between taking care of Emmy and setting up the new house as much as possible before B joins me for good, I hadn’t given much though about the house we were leaving behind. That was until B told me last night that everything was completely moved out. Every last bit of it. And then, it hit me like a brick. I didn’t know I was going to become so emotional about it. 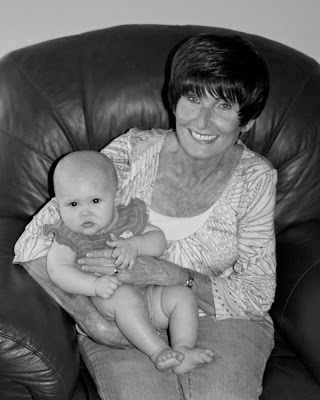 I guess I was too distracted by the excitement and commotion of living close to both sets of Emmy’s grandparents. And it seems a little silly that it would all the sudden “hit” me, when two weeks ago, my dad and in-laws helped me pack the rest of my and Emmy’s belongings into a U-haul. But I think, somewhere in my mind, I thought I was still going to have time to spend one more weekend there. Two weeks ago, I was the last one out of the house to lock up, and I had this very nostalgic, drama-movie-like moment where I stared down a bare hallway, bag in one hand, keys in the other; and revisited, in my mind, every memory made in this house. This was the home Blake and I spent during our engagement. This was the home we spent as a newly married couple. This was the home we found out we were having a baby. This was the home we brought our little girl home from the hospital. This was the home my husband laid down his head every night I was away from him, recovering from postpartum depression. I never thought I could get so emotional over a temporary home. But I also never imagined I would meet so many people who would touch my life forever. Last night, as I began thinking about all the people I will be moving away from, so too, began the waterworks. First of all, our next-door neighbor, Becky… A sassy & stylish seventy-something-year-old, with a fun sense of humor and contagious laugh, became a true friend. She was there for me at nine o’clock one December night when I walked through the bushes–barefoot & in shorts; with Emmy tightly tucked in the Moby, as I was having a panic attack while no one was home. And in the crucial days leading up to my rock bottom days, she would babysit keep me company while B was at school. And then there are my friends. My medschoolwifeclub friends. I don’t think I could have made it through B’s first two years of med school without these ladies. No one understands what it’s like to be married to a spouse in med school, unless you are one. 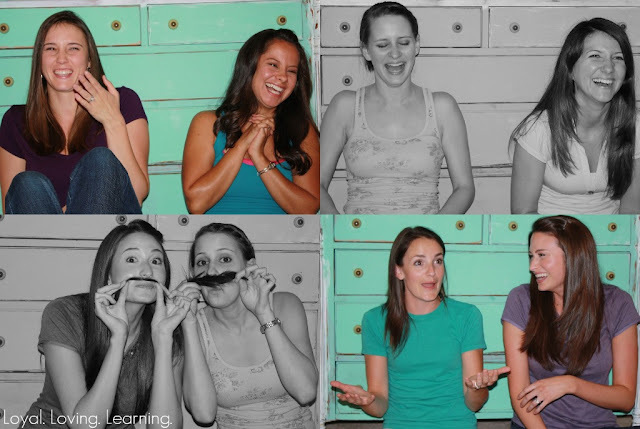 We’ve laughed, cried, vented, and supported one another through numerous tribulations. We’ve babysat one another’s littles, swapped recipes, peer-pressured some to start a blog, & taught each other how to sew. These wives have taught me so much… like how to play Phase 10. I will miss the nights we planned to watch American Idol, but instead laughed until we cried and/or peed a little. We’ve been through engagements, weddings, two births, & another on the way. Life-altering moments, yo! These girls sent me e-mails and voicemails, and prayers while I was in the hospital. 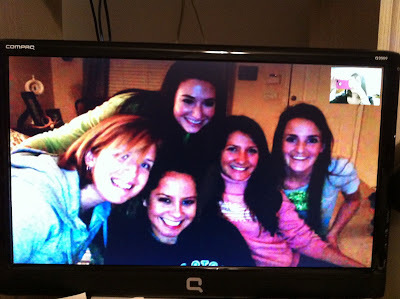 And when I got better, I crashed their game night via Skype. There will never be the right words to thanks these outstanding friends, or describe just how much they mean to me. But I love them. So much! & as cliché as it sounds—but it’s the truth—I know we’ll be friends forever. I mean, there will always be social networking, right? So I’ll always be able to stalk keep in touch with them forever & ever, right…??? Love you and love this post! Katie! Give a pregnant girl a warning when you're gonna get sentimental! 😉 Totally teared up reading this. I def would not have survived the past 2 yrs. without all these lovely ladies! We will be friends forever… girls' weekends anyone?! 🙂 Love you!! We are going to our cruise, remember? All of us!